Measure your child's hand width. See the illustration. 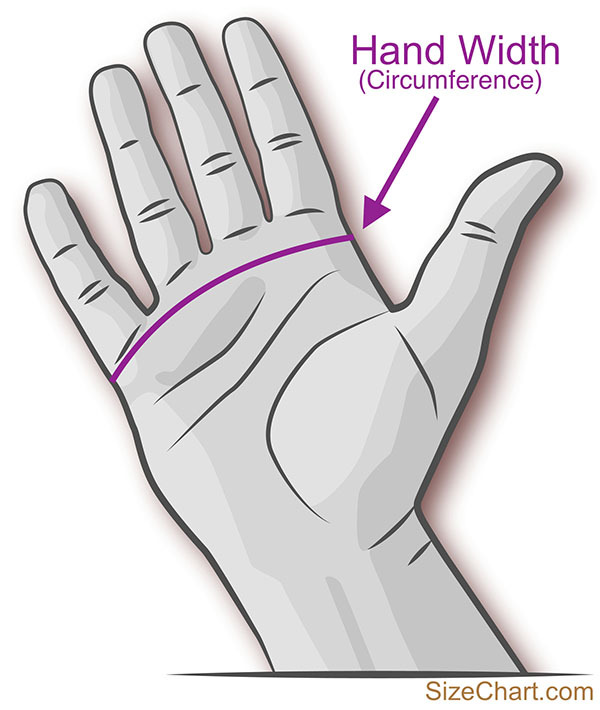 Hand width is the hand circumference, just over the knuckles. Measure both hands, and use the largest measurements (dominant hand is often larger). Please note that all children have different hands and often also hand sizes. The size chart below is just a guideline. The glove sizes in the size chart will not fit all kids. Note: these sizes are just guidelines. What size does your child use?